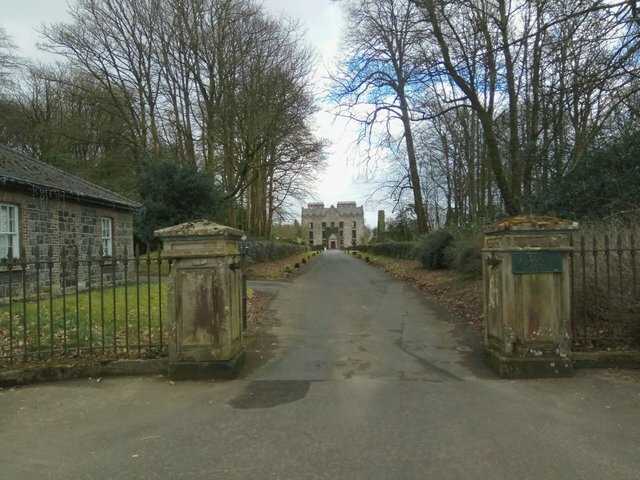 I've often driven past Galgorm Castle, but never ventured past the gates. This St Patrick's day I though I'd venture a bit closer and have a quick look. The castle is situated a mile outside the town of Ballymena in Northern Ireland. It's not a traditional defensive castle, more a stately home. 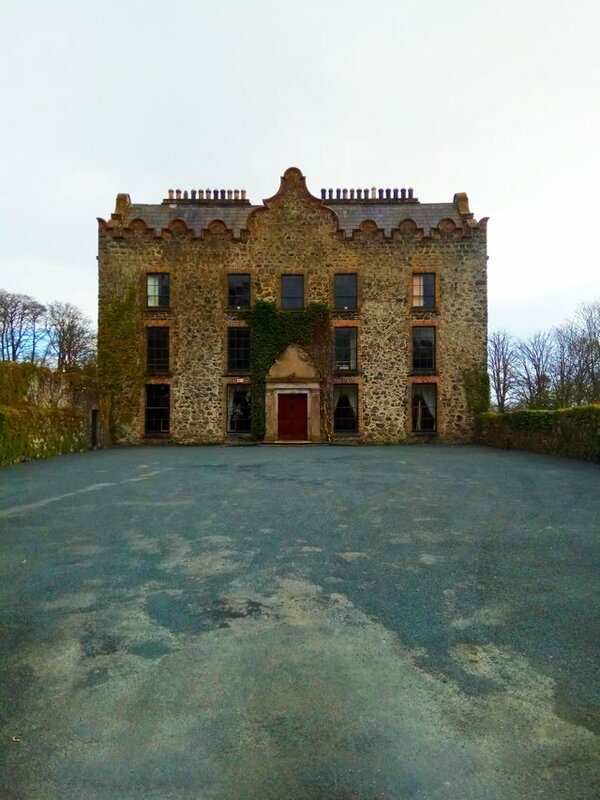 The Castle was built in 1618 and is regarded as one of the finest examples of Jacobean architecture in Ireland. The castle was built by Sir Faithful Fortescue who at the time was Constable of Carrickfergus Castle. He turned out to be less than faithful when he negotiated with the royalist side before the Battle of Edgehill and swapped sides half way through the battle. Even with his treachery ending up on the losing side of the English Civil War, he survived into old age. Fortescue sold the Castle to the notorious Dr Alexander Colville who, accord to legend was an alchemist who'd sold his soul to the devil for gold and knowledge. Colville's ghost is still supposed to stalk the corridors and passages of the house in the dark hours. The grounds of the castle are now a well regarded golf couse home of the Northern Ireland golf tournament. Presume you've been in Gracehill, next door? Eighteenth century village, first conservation area in NI, and my childhood home. Yes I have, in fact my cousin lives in the village. I can feel another Steemit post coming on, but you're probably better qualified to write than I am. Small world! I did many school projects on Gracehill when I was little, but long forgotten now. And sometimes it is better to see these things through fresher eyes. I look forward to reading your perspective. I must have visited 100 churches and castles in 20 countries, but the ones just down the road, I've never set foot in. It's probably like that for most people. Yes, you're so right. Co. Antrim's premier tourist destinations are the Titanic Centre, which I've never been to and the Giant's Causeway which I haven't been to in 30 years. I think the only National Trust property in NI I haven't been to is the one 1 mile from my house. "Sir Faithful Fortescue" - What a great name! There should be a novel about this guy! Lovely photos and the perfect post to enjoy on St. Patrick's day. They don't name them like that any more. For good measure, his eldest son was Chichester Fortescue and his eldest daughter was Lettice Fortescue, but I guess when you have 16 children, you have to be a bit inventive with names. 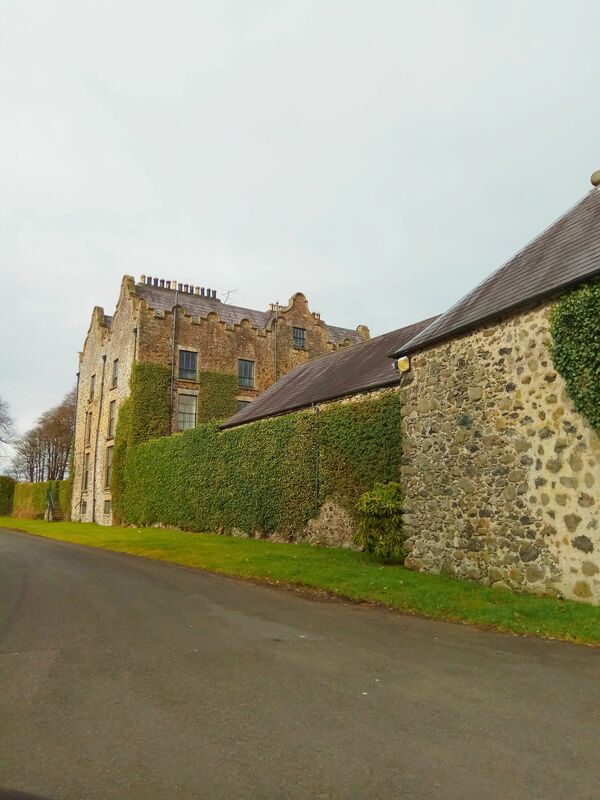 It is really interesting to note how the arts & crafts movement took inspiration from some details like Galgorm Castle's use of stone facade, which makes the whole place seem timeless. Yes, I guess they loved the medeval and lifting ideas from an earlier age. Probably no formal architect here, although regardless I'm sure William Morris would have loved those Dutch gables and chimney pots. Thanks @blazing, I'll try to be a bit more active in the coming weeks! Thank you, I really enjoyed my quick visit. I was only there for about 10 minutes as I was rushing off to watch the rugby 6 nations Ireland vs England match..
Wow! A great trip, you can watch a rugby game and taking the time to add insight in an extraordinary place. Greetings an introduction from me a steemian from Indonesia, I will wait for your next story. Yes, I'd love to get to see the inside some time. Well it does indeed looks pretty great buddy ! Liked the 1st image it sure is grand ! Thank you Rehan, the day was a bit dull and overcast. The stonework would look great on a sunny day and the house would look a little less austere. Hello maxbullion, I am a scheduling service for randowhale. Read more at my guide post. The first picture looks misleading I was like hey that doesn't look like a castle, interesting architecture thanks for sharing.